Dave now uses Training Peaks software with all the athletes he is coaching. The intuitive software allows tailor made training plans to be created, tweaked, modified and reported against very quickly. One of the success factors of the Coach-Athlete relationship is to be able to exchange and react to training data as soon as possible. This is not always possible – an email can be missed, or an athlete be too busy to make a call. With Training Peaks, all training data can be uploaded instantly from popular training devices such as Garmins. 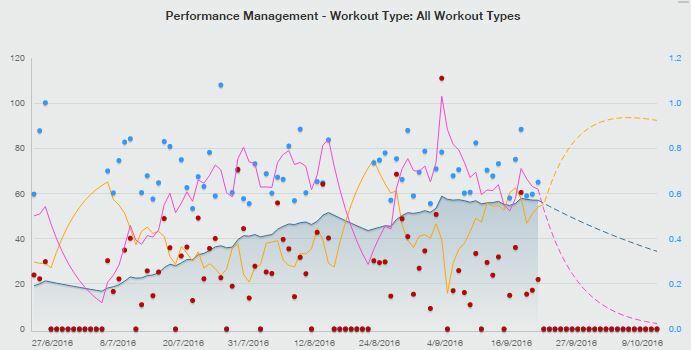 As a coach, we can then look at your performance data and analyze Power, Heart Rate, Distances, Cadences and get a full picture of how the athlete is responding to training. For the athlete, the Diary, Plan, Schedule and reporting options are available over the internet via a browser, or on mobile devices such as tablets and smart phones. Your schedule is always with you. What’s more – it’s free! The software and apps are all available for free download, and standard uploads are also free. As a British Cycling Level 3 Coach, Dave receives a discounted Coach only subscription that he is happy to pass on to the athlete. Visit Training Peaks for more information on the solution.